Call us at (614) 527-1776 today. Check out New Hours for 2019! We will open at 7am Tuesdays and Thursdays! For more information or to schedule an appointment with our Hilliard and surrounding areas chiropractor, call (614) 527-1776 today! Dr. Adam Edge provides quality chiropractic care to patients in Hilliard, OH and surrounding areas. If you suffer from back pain, neck pain, headache, sciatica or have been in an auto collision or worker comp injury, Family Chiropractic Centers can get you back on the road to health. We are currently accepting new patients and accept a variety of health insurance plans. WE also offer a fair and reasonable Time of Service pricing *(Single visit adjustments $35)* Please contact us at 614-527-1776 to set up an appointment. DOT Medical Examinations available daily. 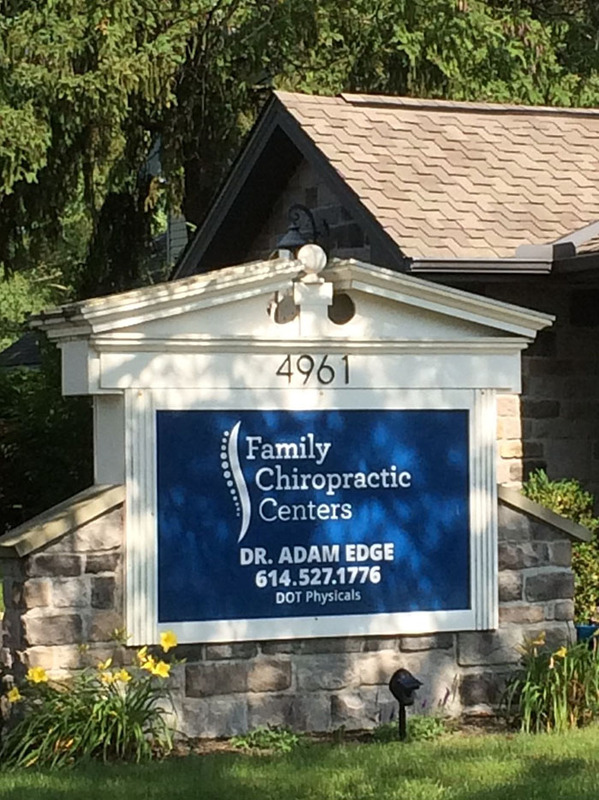 Dr. Adam Edge is a chiropractor in Hilliard, Ohio. Dr. Adam Edge provides quality chiropractic care to patients in Hilliard, OH. If you suffer from back pain, neck pain, headache, sciatica or have been in an auto collision or worker comp injury, Family Chiropractic & Rehabilitation can get you back on the road to health. "Terrific Doctor and Staff. The patient comes first and is treated with respect and care!" "Dr Edge works hard to treat each individual with the utmost care and respect. His skill is amazing. Kim is wonderful working to get everyone in. Especially all the crazy weather we have been having."